US presidents have bombed or invaded places like Grenada, Panama, Iraq and Sudan to distract from domestic scandals or to gain a quick boost in popularity. But, do Canadian politicians also pursue regime change abroad to be cheered on by the dominant media as decisive leaders? In a discussion on regime change in Venezuela after last Monday’s “Lima Group” meeting in Ottawa, Conservative foreign affairs critic Erin O’Toole praised Canadian policy but added that the Liberals used the meeting of countries opposed to Nicolas Maduro’s government to drown out criticism of their foreign policy. O’Toole claimed the “Lima Group” meeting was “put together quite quickly and I think there are some politics behind that with some of the foreign affairs challenges the Trudeau government has been having in recent months.” In other words, O’Toole believes the Liberals organized a gathering that concluded with a call for the military to oust Venezuela’s elected president to appear like effective international players. In recent days Ben Rowswell, a former Canadian ambassador in Caracas, has been widely quoted praising the Liberals’ leadership on Venezuela. “It’s clear that the international community is paying attention to what Canada has to say about human rights and democracy,” Rowswell was quoted as saying in an article titled “Trudeau’s Venezuela diplomacy is a bright spot amid China furor”. The Liberals drive for regime change in Venezuela to mask other foreign-policy problem is reminiscent of Stephen Harper’s push to bomb Libya. Facing criticism for weakening Canada’s moral reputation and failing to win a seat on the UN Security Council, a Canadian general oversaw NATO’s war, seven CF-18s participated in bombing runs and two Royal Canadian Navy vessels patrolled Libya’s coast. Today Libya is, of course, a disaster. It is still divided into various warring factions and hundreds of militias operate in the country of six million. But who in Canada ever paid a political price for the destruction of that country and resulting destabilization of much of the Sahel region of Africa? A similar scenario could develop in Venezuela. Canadian politicians’ push for the military to remove the president could easily slide into civil war and pave the way to a foreign invasion that leads to a humanitarian calamity. If that happened, Canadian politicians, as in Libya, would simply wash their hands of the intervention. 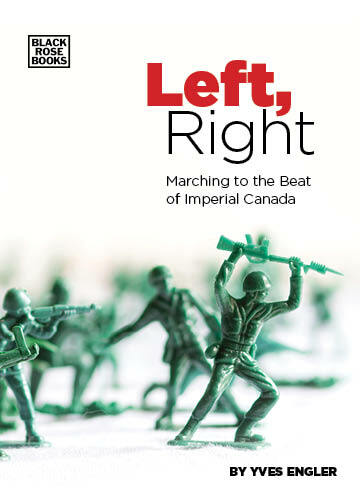 Canadians need to reflect on a political culture in which governing parties encourage regime change abroad with an eye to their domestic standing.